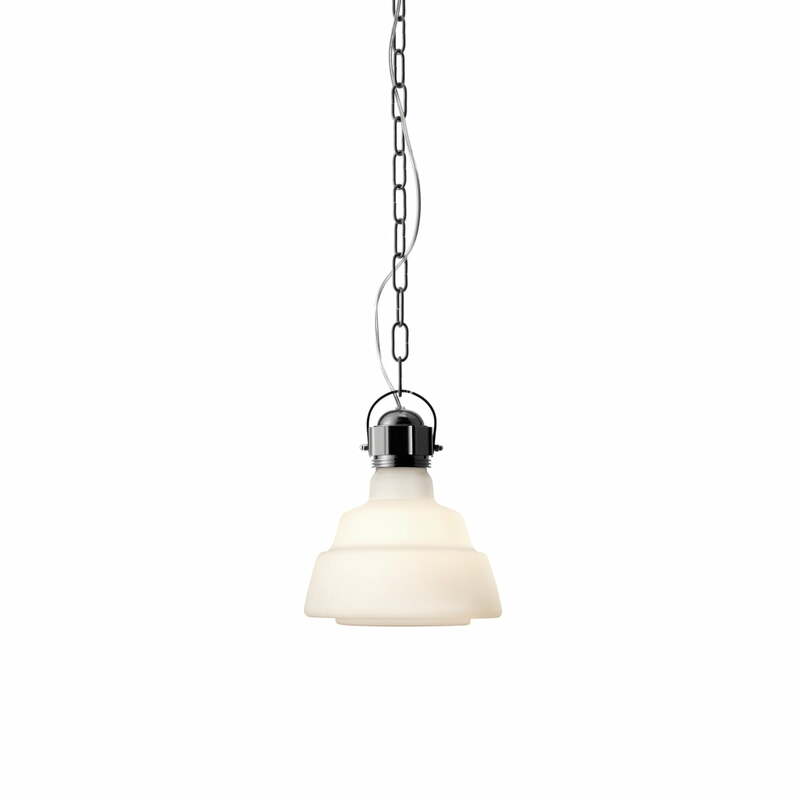 The Diesel Pendant Light is an eye-catcher with handicraft charm that stems from the reduced shape and traditional material. The shape reminds us of original industrial lamps, but the Diesel lamp is made of blown glass - a contrast wherever you place it. 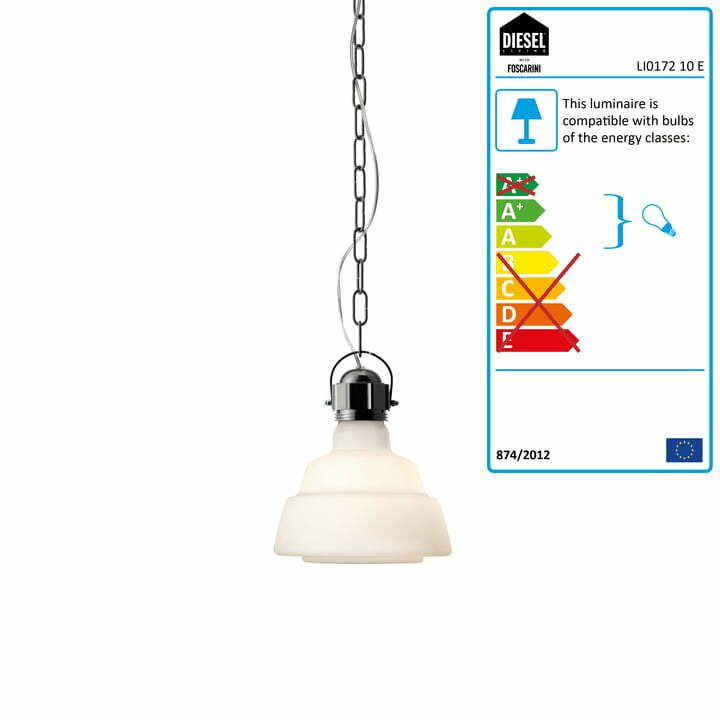 The colourful glass lampshade makes diffuse light shine equally out of all sides of the Glas Pendant Light. 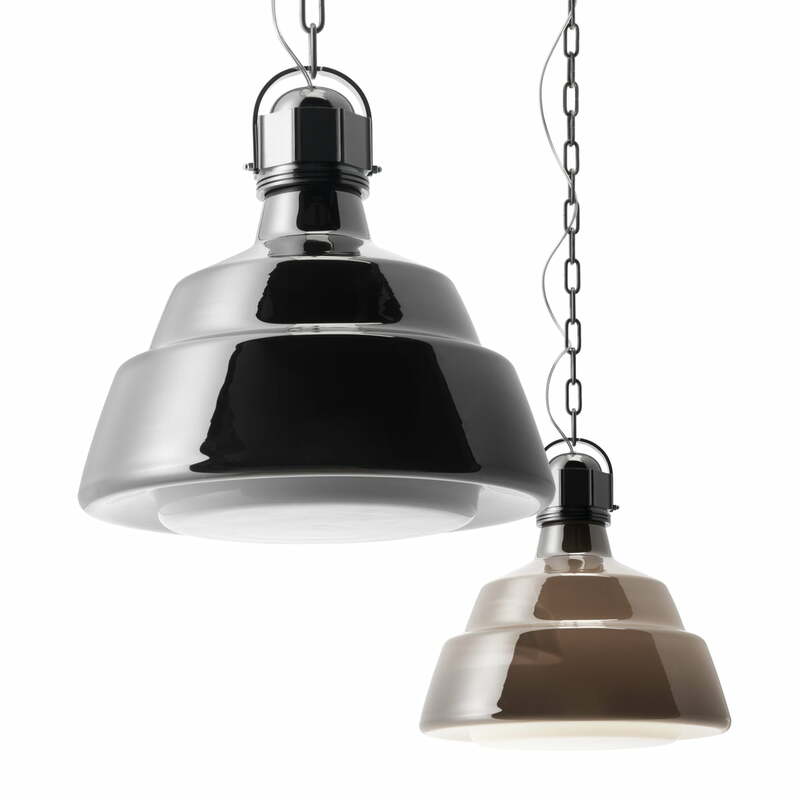 The glass shade made of one cast is inspired by vintage shapes of ancient factory and workshop lamps. This way, the lamp spreads a subtle retro charm with its industrial design. 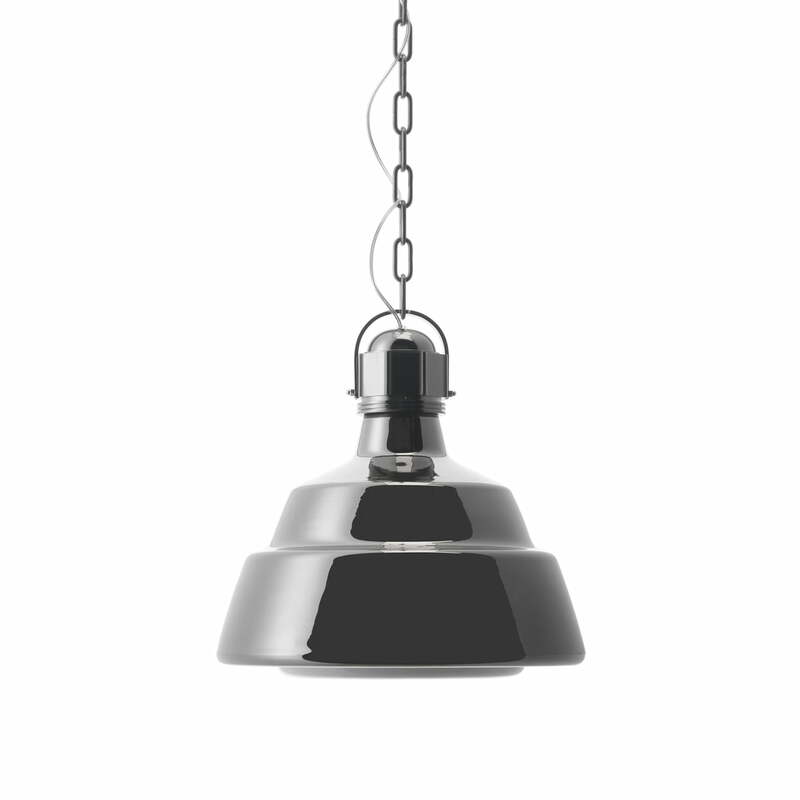 The Diesel Living Pendant Lights can shine alone or in groups in any room and they are available in two sizes.